A virtual laboratory allows, for the first time, to actively engage with topical quantum physics. The novel learning environment was developed at the Faculty of Physics at the University of Vienna in collaboration with university and high-school students. 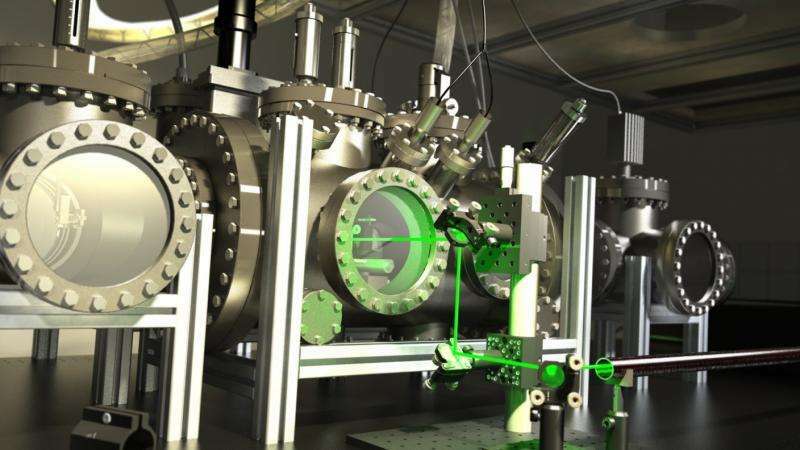 In time for the start of the new term, the virtual quantum lab is freely available online. The new teaching concept has been published in the journal Scientific Reports. Topical research experiments are often too expensive or too complex to be rebuilt and incorporated in teaching. How can one, nevertheless, make modern science accessible to the public? This challenge was tackled in the research group Quantum Nanophysics led by Markus Arndt at the University of Vienna. For the first time, two research laboratories were created as complete, photorealistic computer simulations allowing university and high-school students as well as the general public to virtually access unique instruments. "One could describe it as a flight simulator of quantum physics", says Mathias Tomandl who designed and implemented the essential elements of the simulation in the course of his PhD studies. A learning path guides the visitors of the virtual quantum lab through the world of delocalized complex molecules. A series of lab tasks and essential background information on the experiments enable the visitors to gradually immerse into the quantum world. The engaging software was developed together with university and high-school students and was fine-tuned by periodic didactic input. The teaching concept and the accompanying studies have now been published in the renowned scientific journal Scientific Reports. 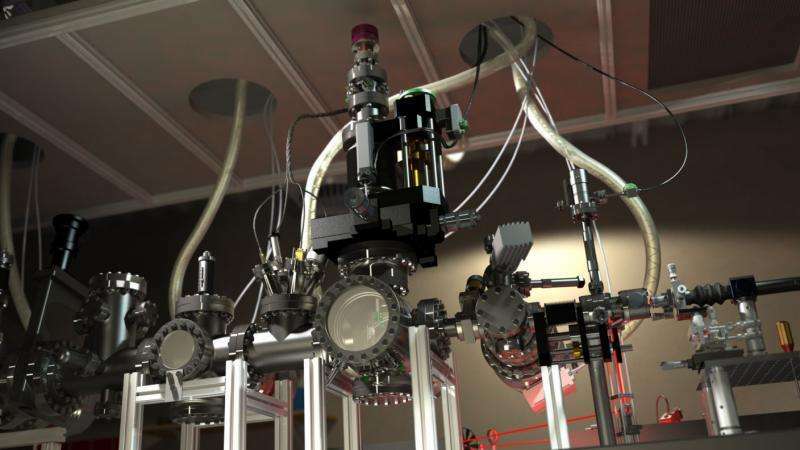 The virtual laboratories provide an insight into the fundamental understanding and into the applications of quantum mechanics with macromolecules and nanoparticles. In recent years, the real-life versions of the experiments verified the wave-particle dualism with the most complex molecules to date. 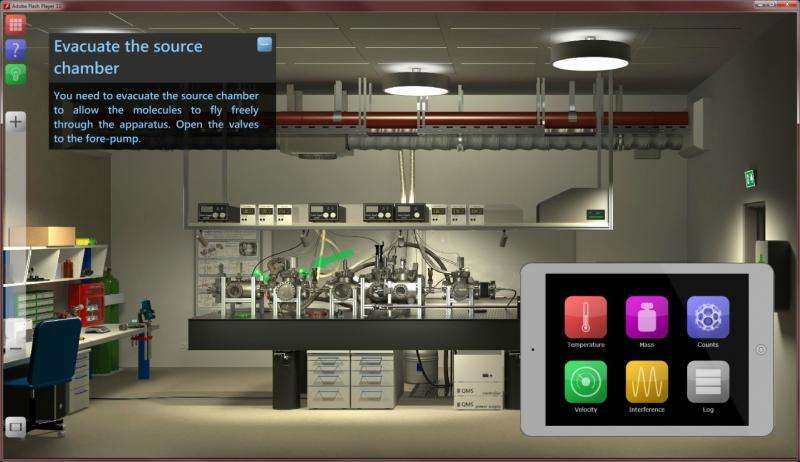 Now, everyone can conduct these experiments in the virtual lab for the first time. Currrently, a light version of the virtual lab can be experienced as an interactive exhibit in the special exhibition "Das Wissen der Dinge" in the Natural History Museum Vienna. In the travelling exhibition "Wirkungswechsel" of the Science-Center-Netzwerk the exhibit will be available at various locations throughout Austria. Very awesome, I hope they continue to flesh this out!